Last year, in November, my life changed forever when I got my son Timo. He is currently 10 months old and, actually, loves to watch storms with me. He was with me during the “tornado outbreak” in Sweden in August when a shelf cloud (with a shear vortex) came in over our summer house. Despite the extremely loud thunder he sat content watching the storms come in. A storm chaser to be, that’s for sure. Timo also makes it more difficult for me to chase for several reasons. The main reason being that he acts like a tornado himself around the house and is quite an effort to handle for my girlfriend. In addition, it is hard for me to leave a baby for that long (in the season of 2018 I was gone for almost three weeks, which was too long). So, although I won’t be able to chase for as long as previous years I am very happy to have booked my dates for next year. I will be chasing with David Williams of Tornado Alley Chasing (once again) together with another friend, Alex, that I have chased with a few times already. 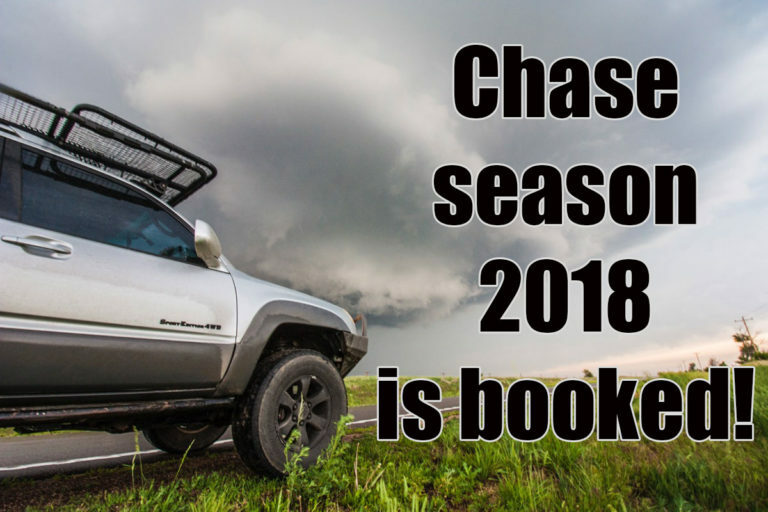 I am excited to be able to go chasing, once again, although I am always considering “this season to be the last in a while”.